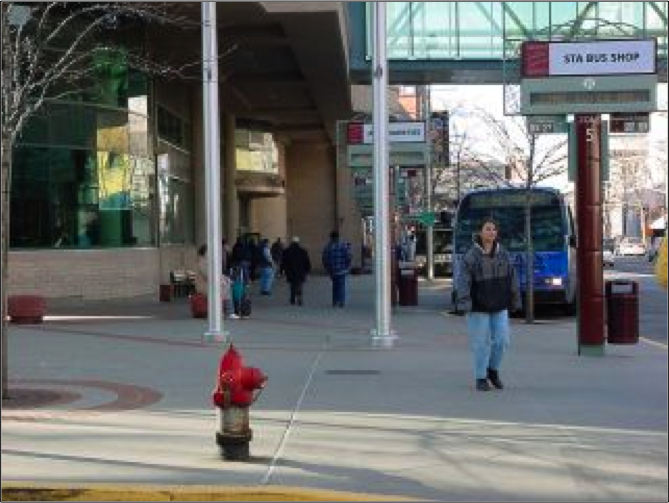 TD&H Engineering provided services for the development of the transit center. We secured the aerial easement necessary for construction of the sky bridge. On the ground, TD&H Engineering provided sidewalk design, curbing, stormwater drainage plan, bidding assistance and construction administration and inspection, and construction staking for the facility. 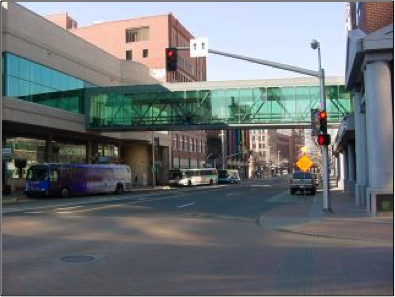 The design was complicated by existing foundations from previous buildings, some up to 100 years old, that contained under-sidewalk spaces (coal chutes, delivery doors, etc) that required innovative structural design to decommission.